This was a project originally created in 2002 and later re-rendered in 2014. 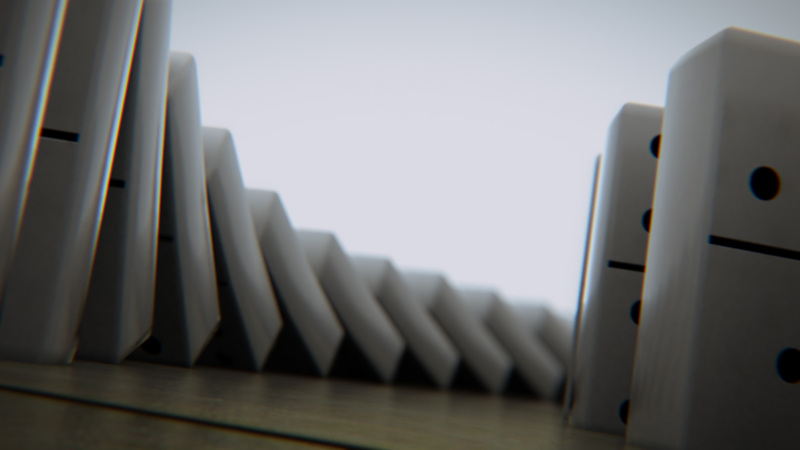 The animation was creating by dynamically simulating a row of dominos using 3dsmax’s Reactor, then duplicating the rows and curving them using splines. While this effect works fairly well, you can see geometric distortion on some dominos in sharp turns. 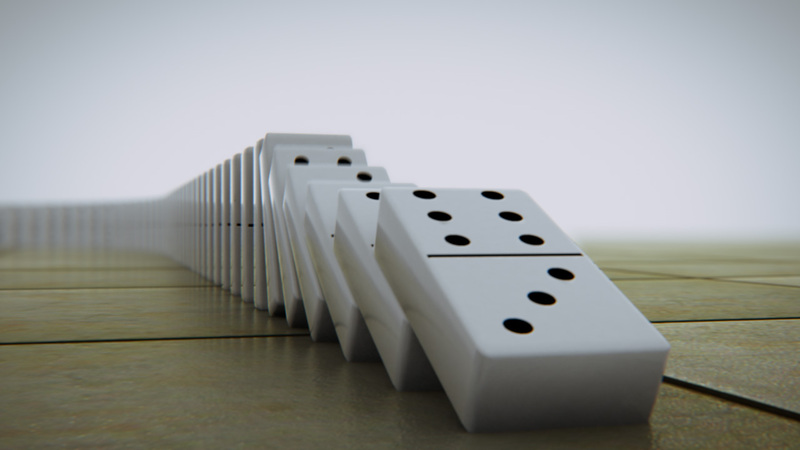 The ramps and their animation were keyframes to match the motion of the dominos. The re-rendering was done with VRay 2.0 and all post processing was done with After Effects.